* Issue no. 33 from August 15, 1897. 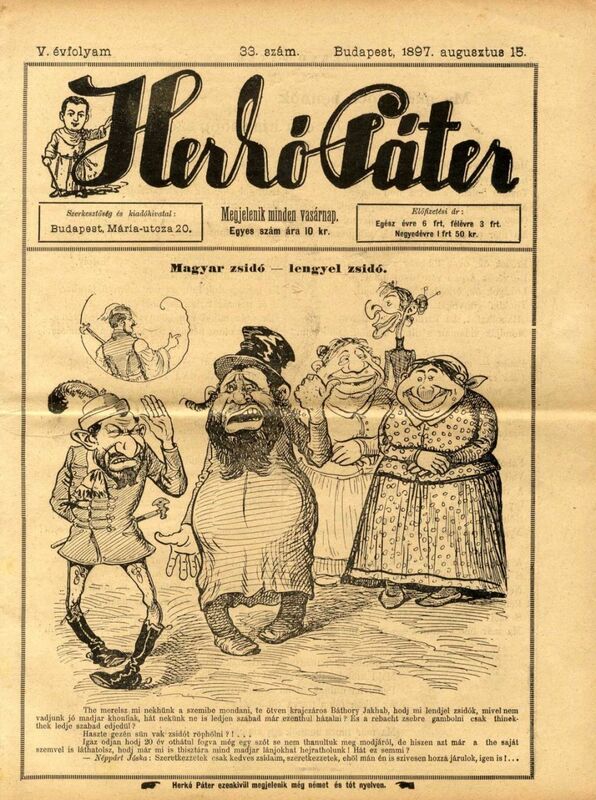 The front page of the newspaper features an antisemitic caricature depicting two ridiculous Jewish stereotypes, one called Magyar Zsido ["Hungarian Jew"], and the second, Lengyel Zsido ['Polish Jew']. The inner pages feature antisemitic caricatures. * Issue no. 49 from December 6, 1896. The front page of the newspaper features an antisemitic caricature, as well as various antisemitic caricatures with antisemitic captions on the inner pages.